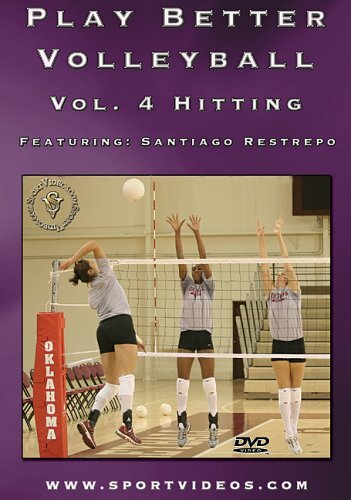 This download features Coach Santiago Restrepo and the University of Oklahoma volleyball team. The comprehensive program details numerous techniques and drills to help your players learn and improve their hitting technique. Among the topics covered are: a complete breakdown of proper hitting mechanics, approach drills from a wide variety of different sets, and advanced hitting concepts and drills. A great resource to help advance your hitters to a higher level! 37 minutes. 2006. About the Coach: Santiago Restrepo has achieved numerous honors as both a player and a coach. As a player, he was an NCAA Division I All-American and has played on the American Volleyball Players Pro Beach Tour. As a coach, he was an assistant at Saint Louis University, and has been the head coach at East Stroudsburg University, the University of Southern Mississippi, and the University of Oklahoma.